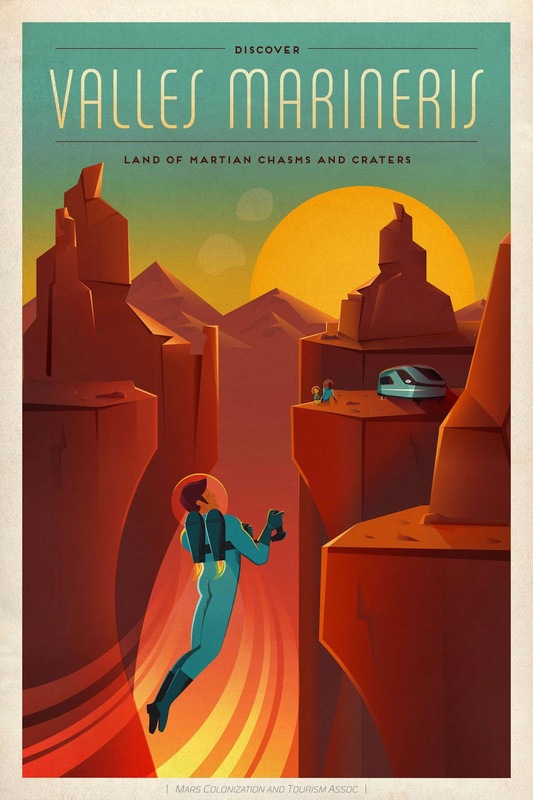 SpaceX has come out with some vintage style Mars Travel posters. This one shows a couple enjoying a 'cruise' on Mars' Moons Phobos or Deimos. 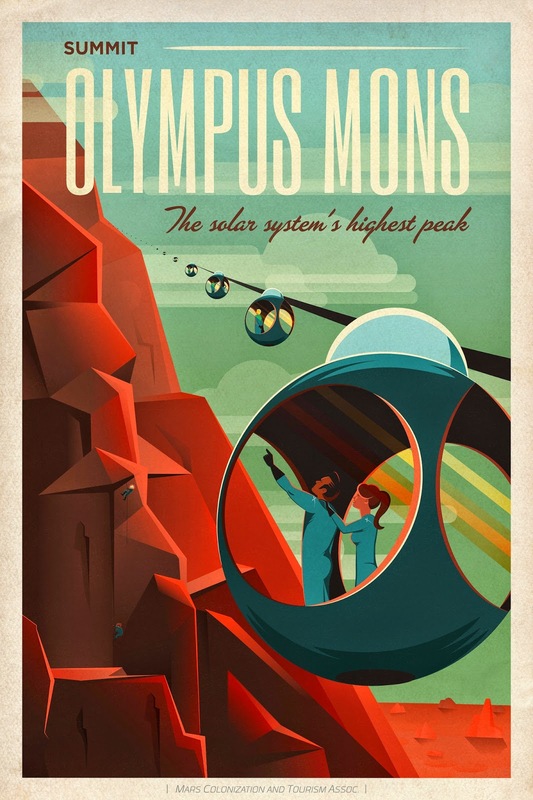 SpaceX has come out with some vintage style Mars Travel posters. This one is for Olympus Mons, the highest peak in the Solar System. 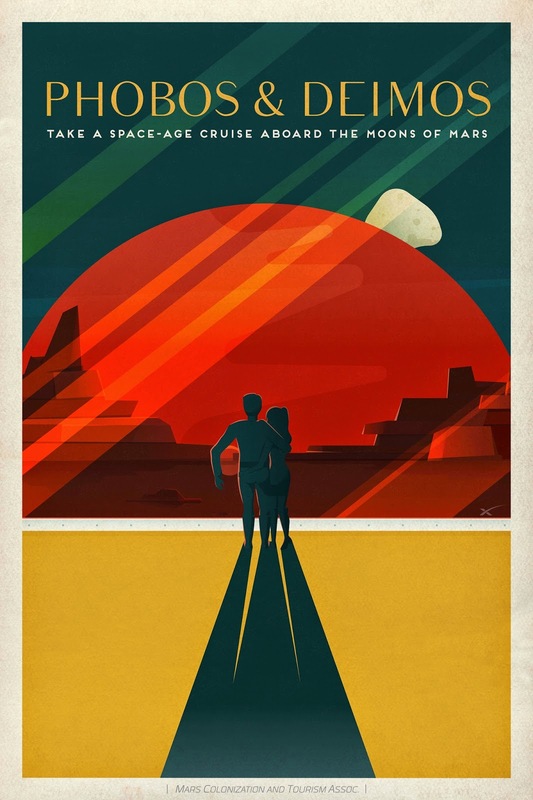 SpaceX has come out with some vintage style Mars Travel posters. This one is for Valles Marineris, known as the Grand Canyon of Mars. As you can probably see, I have changed the Mars Travel logo. I've been neglecting this blog for a while trying to figure out the direction I'd like to take it. I finally think I have an answer. I want to use this blog as a means of increasing popular support for the space industry by creating products that can be easily shared online or through more traditional means, If these products are shared enough I hope to help reinvigorate the public conversation about space. 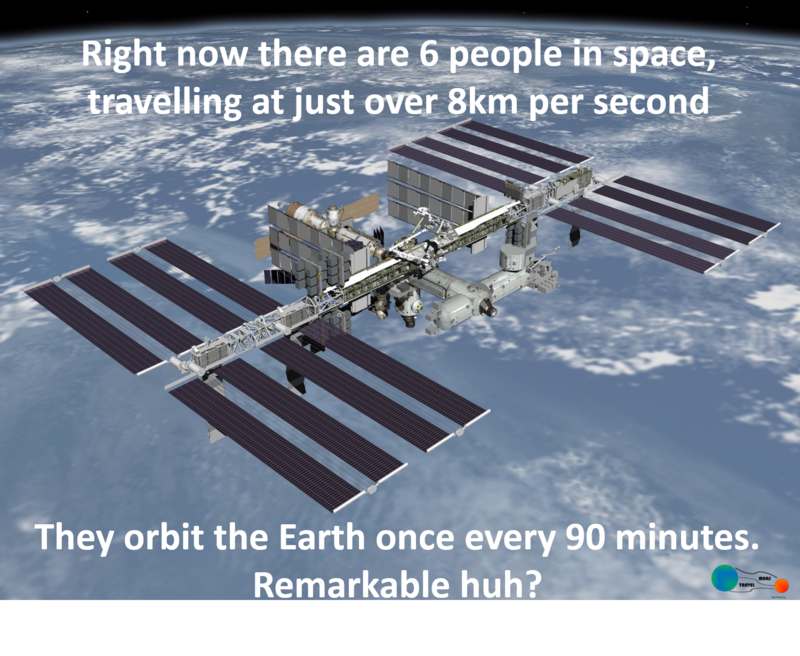 The more we can get people to take an interest in space, the more they will talk about it, thus increasing support for the industry. 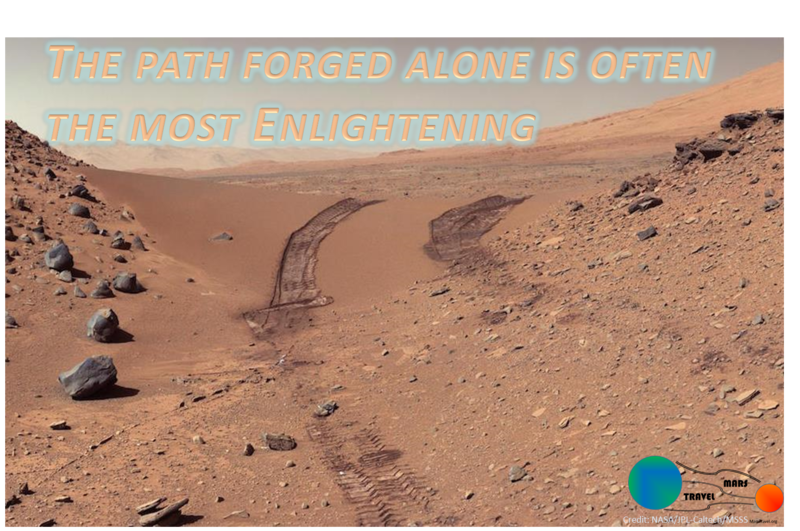 Essentially I want to help market the space industry, Mars Travel's piece of that is to create easy to distribute products showcasing and provoking discussion of space exploration and discovery. The new logo pairs with the name Mars Travel, and makes such a connection intuitive, just by looking at it. One of my true passions is space exploration and discovery. When I was a kid I wanted to be an astronaut (what kid doesn't?). As I grew up I became more realistic, but I never lost my fascination with space and the literally limitless possibilities that it represents. As I grew older I started working in media relations and marketing, and later, logistics. After a few years I decided to apply my media relations skills to space, eventually becoming the Media Relations Director (a volunteer position) for The Mars Initiative, a position I held for the entirety for 2013. But that's not enough. I want to market the space industry. This blog and related endeavors will be my attempt at doing so. I hope that you and others will join me in bringing the wonders and potential of space back into the public eye. Humans naturally crave exploration, we just have to remind them what it feels like to look into the great beyond and discover.